OTTAWA – The Conservative party is trying to prevent voters who don’t support their party from casting a ballot, the NDP charged Thursday during a debate on the government’s new electoral bill. “A big part of this bill is about voter suppression,” NDP deputy leader David Christopherson told The Huffington Post Canada. Young people, aboriginals and low-income Canadians are being unfairly targeted by a bill that the Conservatives have labelled the Fair Elections Act, the NDP argued. Changes that eliminate being vouched for by a friend or colleague as sufficient identification on election day will hurt certain segments of the population who have no fixed address, such as those living on the street in Vancouver’s lower East side, said Libby Davies, the party’s MP for the area. Another measure that prevents Elections Canada from continuing its current campaign of encouraging young people to vote is designed to keep anti-Tory voters away, Christopherson suggested. “We’re talking about a lot of Canadians who might be the kind to look to the government to actually provide an improvement to our society. That is exactly the kind of Canadians [the Conservatives] want to keep away from the ballot box, because that is not the type of government that they offer,” he said. “Remember, robocalls was all about voter suppression. The fewer Canadians that come out and vote, it works better for the Conservatives because their voters are usually far more determined,” Christopherson added. The Chief Electoral Officer said he is losing a lot more than the right to advertise to encourage people to vote. “If I understand correctly, I can no longer talk about any other topic than knowing where, when and how to vote,” Mayrand said. Elections Canada currently provides non-partisan materials to teachers and community organizations about the democratic system and the importance of voting. 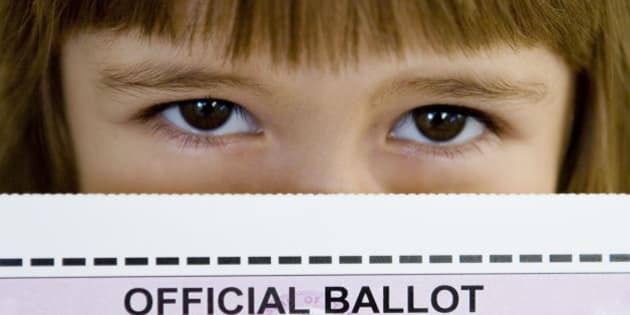 Elections Canada spokesman John Enright said that an evaluation of its student vote program, in place since 2004, showed that it had increased students’ knowledge of politics and the electoral progress – an important determiner in encouraging young people to vote. But the Conservative government argues that Mayrand and Elections Canada have failed to reverse Canada’s consistent decline in voting. Voter turnout has plummeted from 75 per cent participation in 1988 to 61 per cent in 2011, states the website for the Minister of Democratic Reform, Pierre Poilievre. “Despite the efforts and resources Elections Canada has put to encourage electoral engagement the youth voter turnout continues to drop,” the website says. It points to a study by the Library of Parliament suggesting that from 1984 to 2000 the voter turnout for 18-to-24-year-olds dropped 20 percentage points. In the Commons, Poilievre said Elections Canada would be more successful in reversing the low voter turnout among young people if it focused only on giving young voters key information how how and when to vote. “We want to inform them... so they get out and cast their ballots,” he said. Western Economic Diversification Minister Michelle Rempel argued that political parties are better placed than Elections Canada to encourage constituents to vote. It is part of a parliamentarian’s job to get potential voters to the polls and give them a reason to cast a ballot, she said. University of Toronto political scientist Peter Loewen said he doesn’t believe the Fair Elections Act will suppress voting. It is possible the legislation will reduce the voter turnout, he said, but he noted that there is a trade-off between the integrity of the vote and the level of the vote. Loewen, who has consulted for Elections Canada on voter turnout issues, noted that research he has seen suggests there is little difference in party preferences between voters and non-voters. He acknowledged, however, that a much higher percentage of young people tend to support the NDP. He believes Elections Canada should continue to communicate with Canadians and give them some ideas about why they should vote. If Elections Canada had not advertised, turnout might have gone down further, he suggested. “I don’t think there is an credible evidence that turnout has declined because of the previous mobilization efforts of Elections Canada,” Loewen said. “The bill is politicized for sure, but it’s not unreasonable on its face,” he said.